The issue of climate change has been vastly debated, from the reality of it to how we should solve the issue. Everyone has heard the words “climate change” or “global warming”, but we should take into consideration what those words actually mean and the consequences along with it. The direct definition of climate change is a change in global climate patterns influenced by the use of fossil fuels. Without humans, fossil fuels wouldn’t be processed, refined, or used. It is fair to say that our behaviors contribute to what is currently happening to our planet, but what can we do to lessen our impact on the environment? “Some people don’t have the resources to be thoughtful about the environment, but Century can help out by cleaning out our containers in the cafeteria, limiting the use of plastic water bottles and utensils, and encouraging students to carpool.” States Mrs. Carnes, one of Century’s health sciences teachers who also teaches environmental sciences. “I’ve definitely heard stuff about climate change and my parents are passionate about not using plastic. 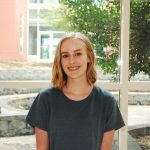 I think the fact that we have a lot more 100 degree weather days a year instead of a couple is a little alarming.” Said Natasha Teegarden, a 10th grader at Century. The Earth is getting warmer because of human activities that release large amounts of greenhouse gases into the earth’s atmosphere. Greenhouse gases trap large amounts of heat into the atmosphere hence the phrase “global warming”. Some examples of these gases are carbon dioxide and methane which are two chemicals that are released when burning fossil fuels. We use fossil fuels for many things. You are using fossil fuels when we use electricity, drive cars, and when we turn the heat on in our homes. Fossil fuels are also used in the production of items like petroleum jelly and many different kinds of plastic including water bottles, grocery bags, and styrofoam. This drastic change in temperature creates a plethora of issues that we are already beginning to currently see. A rise in hurricanes has been common with hurricane Irma of 2017 affecting a large portion of Florida at 177 mph winds. 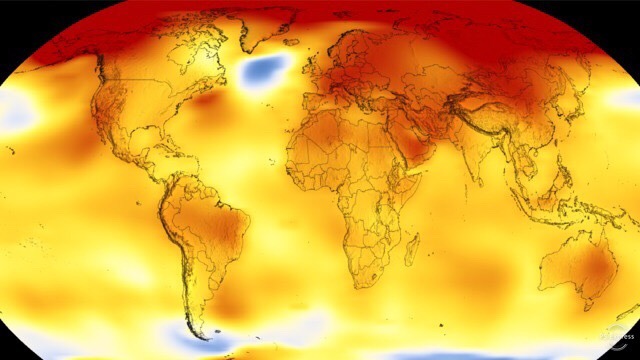 According to climate.nasa.gov, another drastic change in climate we have seen is “Eighteen of the nineteen warmest years have occurred since 2001”, just one of the drastic consequences of climate change we have already seen. In order to avoid the extreme increase in temperature in 2030, not only the U.S, but the entire UN needs to take actions. In 2016, the Paris Agreement was signed by world leaders with the intentions of taking climate change more seriously and take actions. However, on June 1st 2017, Trump withdrew the U.S. from the Paris Agreement. “You could read any article about it and learn about the importance of it but I don’t really think America is doing much for climate change right now.” States Jasmine Denton, a century sophomore. You might be asking yourself: “what can I do about climate change?” The most you can do for climate change is adjusting little details of your daily life. Choose to take your bike to work or school instead of driving in your car and burning carbon. Try limiting the amount of meat you eat, since raising and processing meat is such an enormous process of carbon emission. Reuse and reduce!! Buy reusable water bottles, straws and other items that you can replace with disposable ones. Reducing is also a crucial skill and reducing the amount of plastic you use is an excellent example. Always remember the sake of our planet and the consequences we will soon enough face if we don’t start treating it better. Remind yourself and your friends to take a few minutes out of your day to think about what you can change about your day that can benefit our planet in some way!